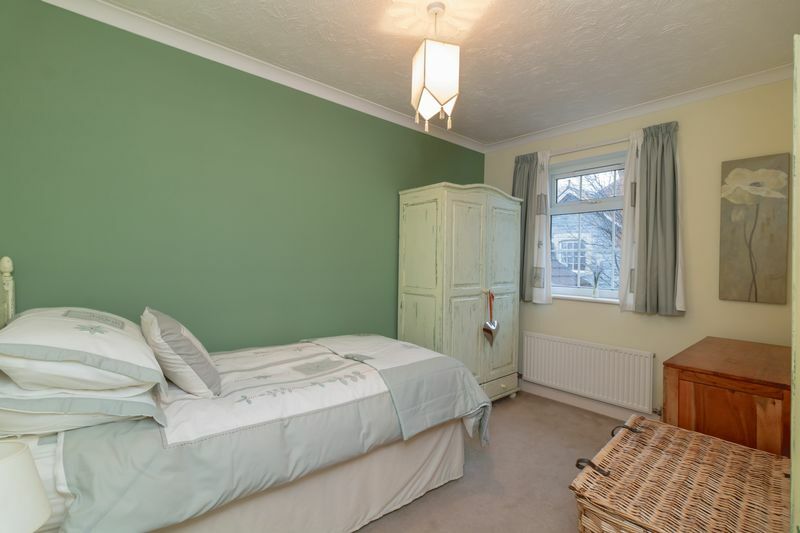 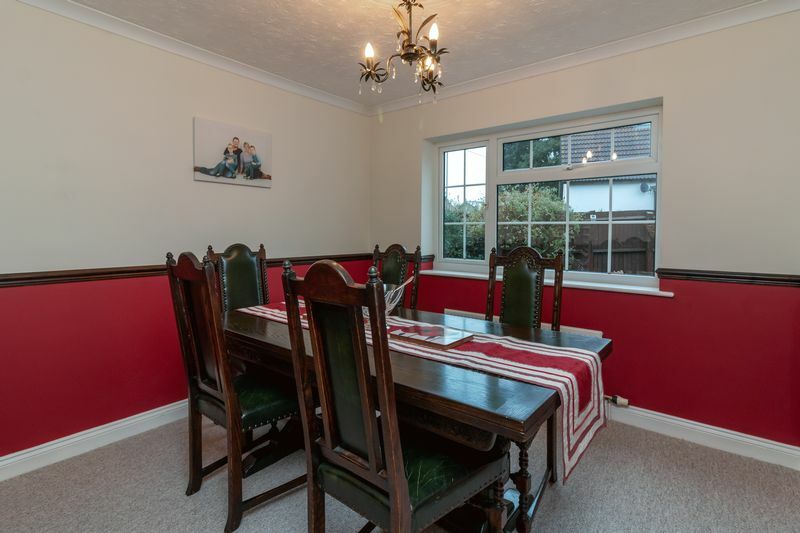 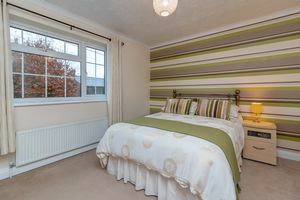 Conveniently located close to the High Street, parks and schools, including Millfield School. 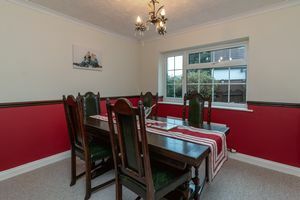 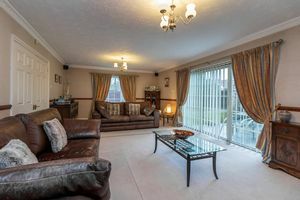 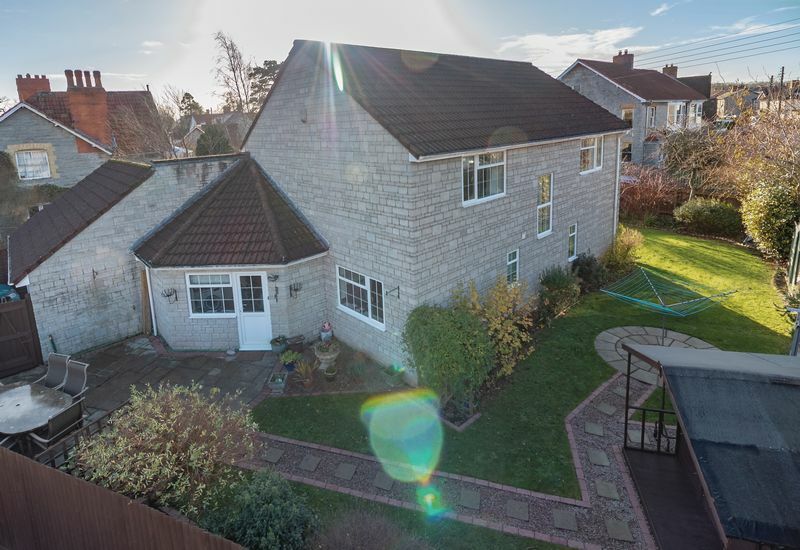 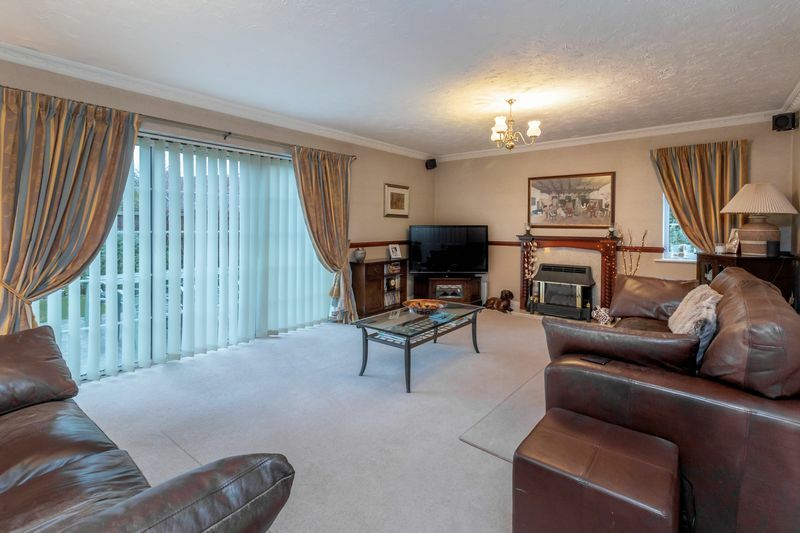 Built by the current vendors some 25 years or so ago, this individual detached home, enjoys four good bedrooms, three reception rooms, kitchen, two bathrooms, cloakroom and utility room. There is a double garage, garden on three sides and a convenient location close to the town centre, local amenities and Millfield School. Beechwood House, affords a convenient central location, close to the High Street, local amenities and Millfield School. 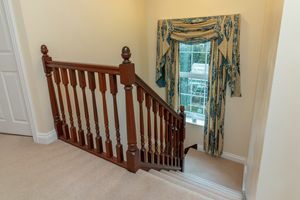 An entrance vestibule opens into the entrance hall, where stairs rise to the first floor and doors lead off to the the principle reception rooms, kitchen and cloakroom. The lounge features a fireplace housing the 'living flame' gas fire, dual aspect windows to the front and side, three meter sliding patio doors open onto the garden. In the dining room, a window also looks out to the side garden and the study has a widow to the front. 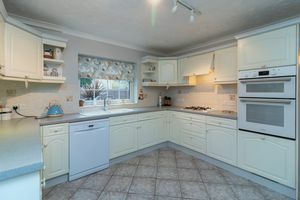 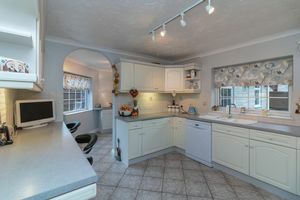 In the the kitchen, there are a range of wall, base and drawer units, having integrated appliances including a double oven, four ring gas hob with extractor fan over and an undercounter fridge. 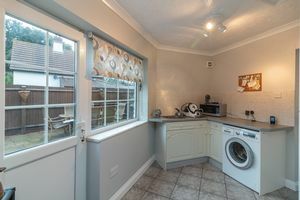 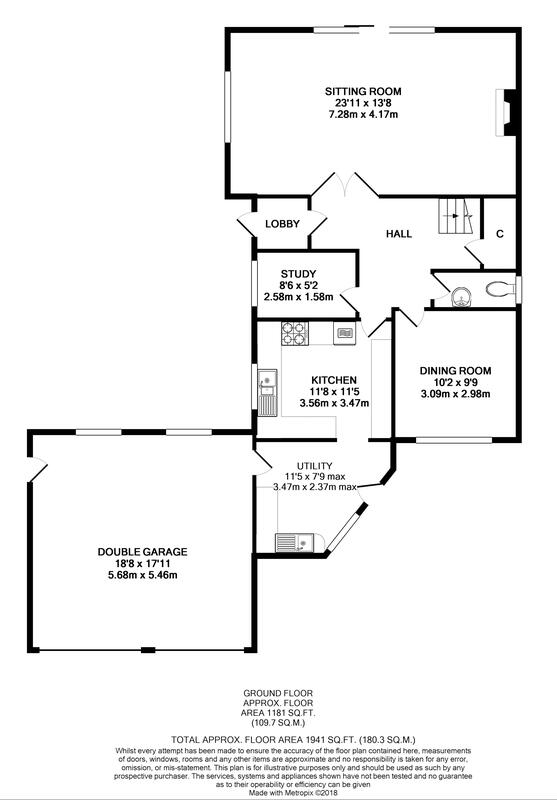 There is also space for a dishwasher, a breakfast bar and an archway into the utility room. The kitchen features quality tiles and marble window cills, imported from Italy. The utility also has a range of units, plumbing for a washing machine, window and door to the rear garden and a door into the garage. 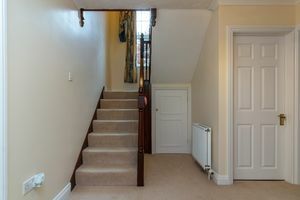 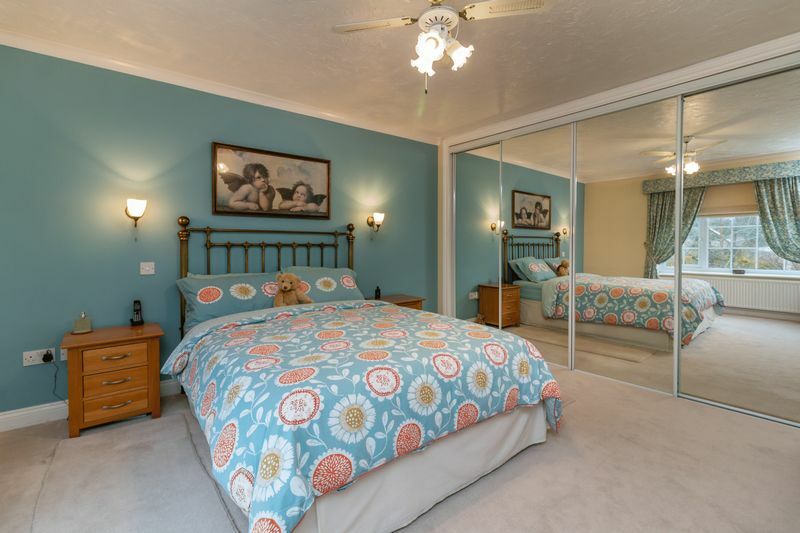 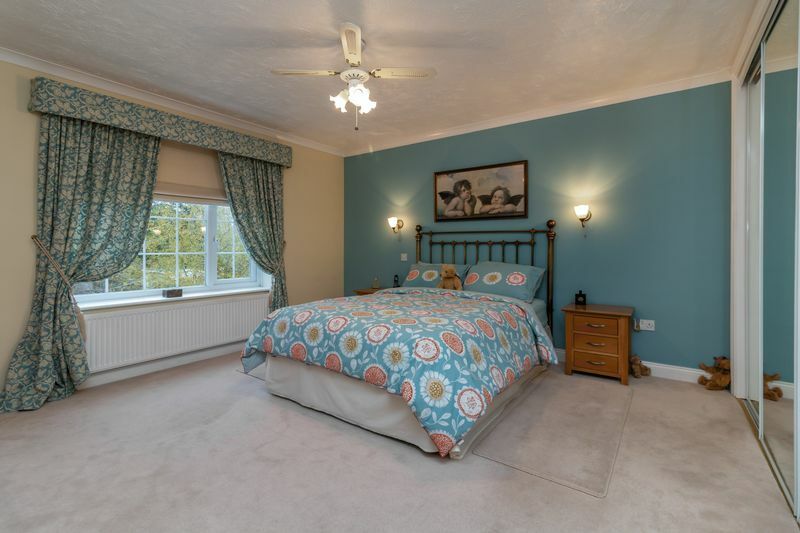 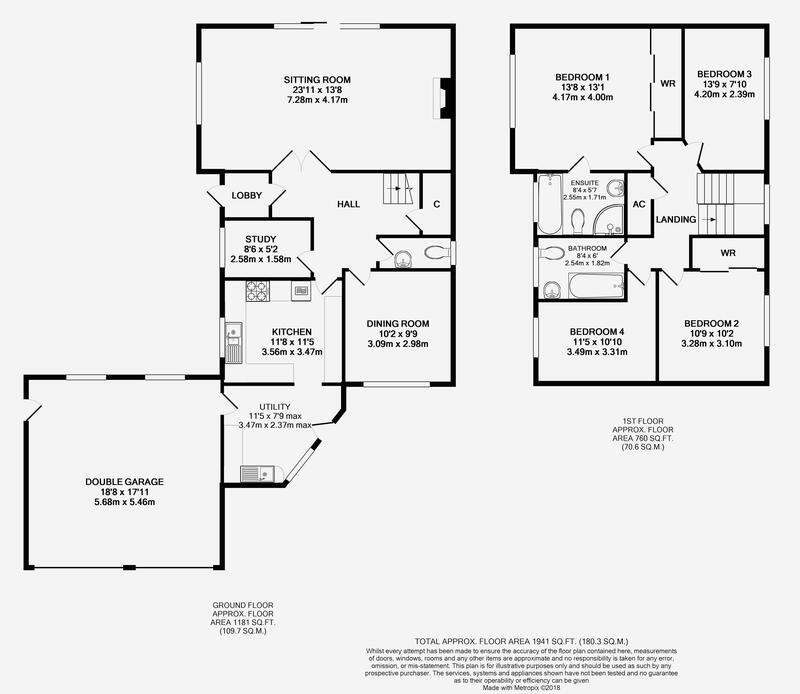 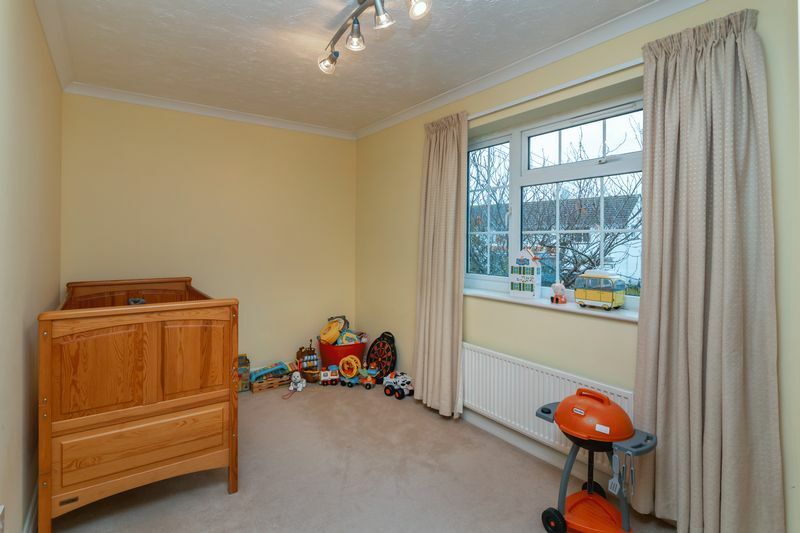 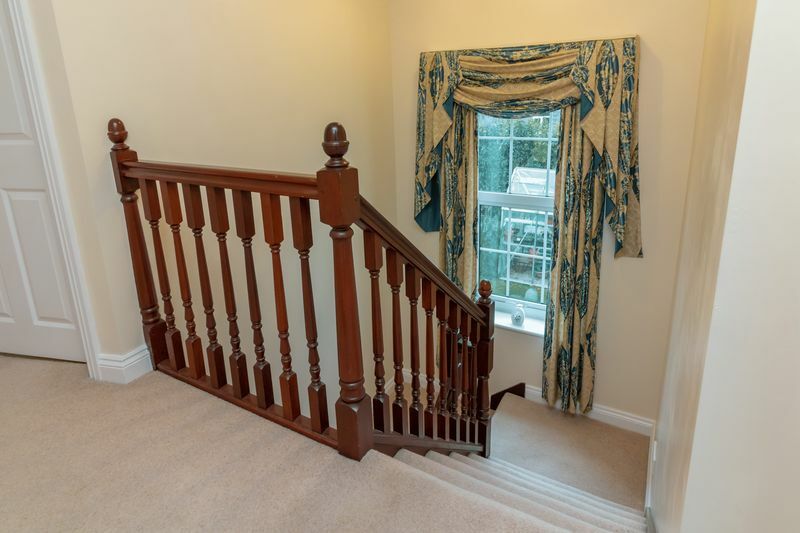 On the first floor, there are four good bedrooms off a spacious landing. 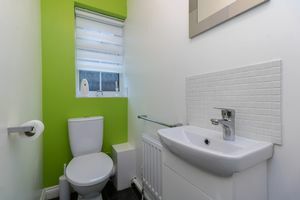 There is a window on the half landing to the rear, with an airing cupboard and access to the fully boarded loft space with light. 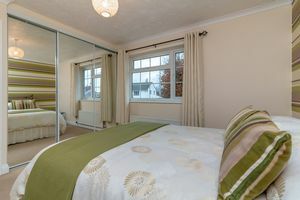 Bedrooms one and four are at the front, with bed one having a range of built in wardrobes and a door into the en-suite shower/bathroom. 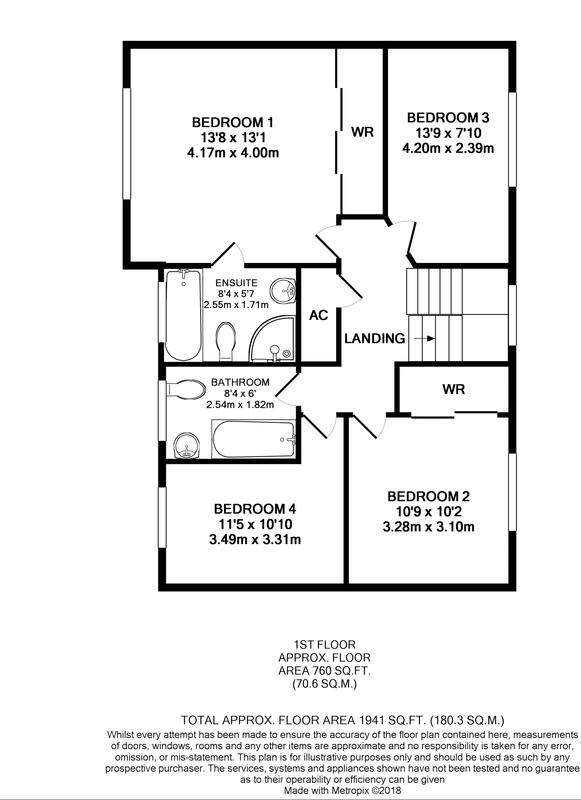 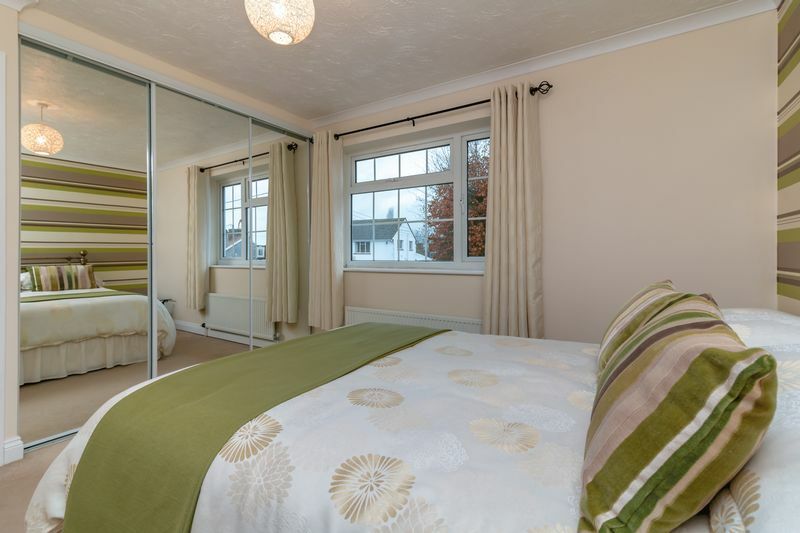 Bedrooms two and three, both enjoy a rear facing aspect with bedroom two also having built in wardrobes. 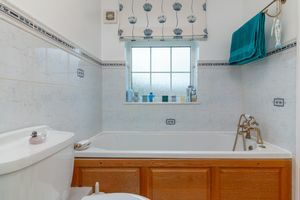 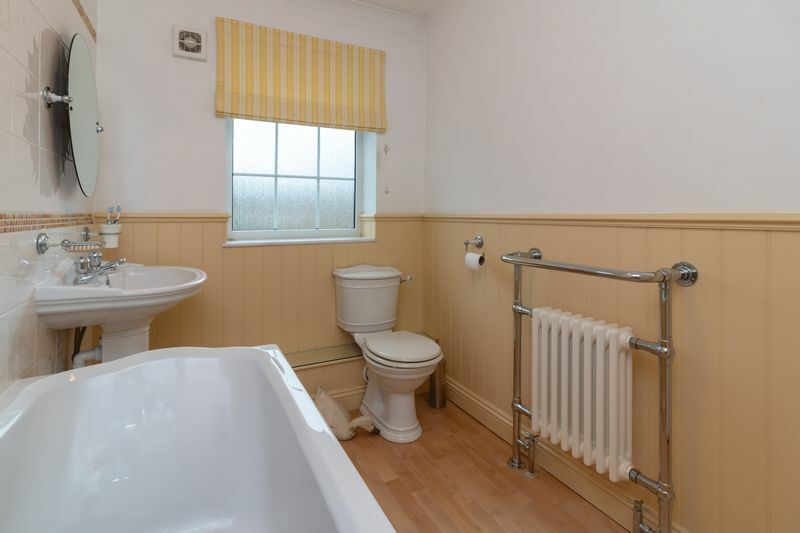 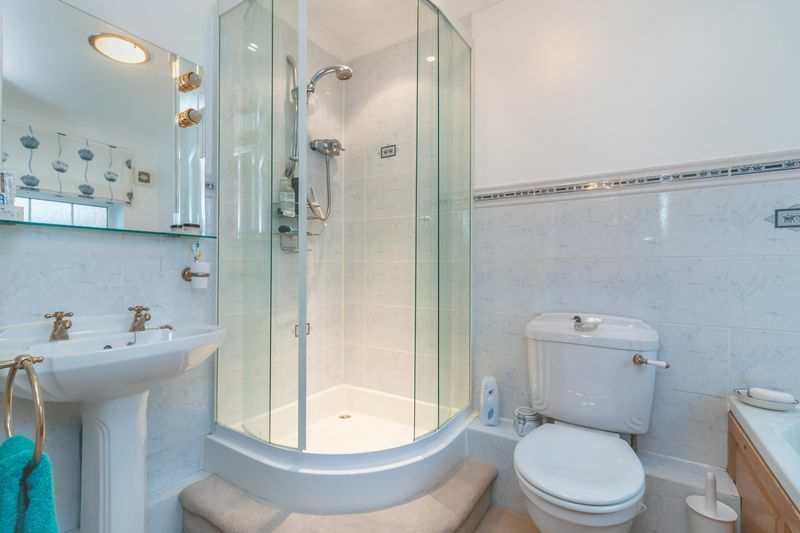 The family bathroom comprises of a panelled bath with shower over, wash hand basin and a WC. Also having a quality range of tiles imported from Italy. 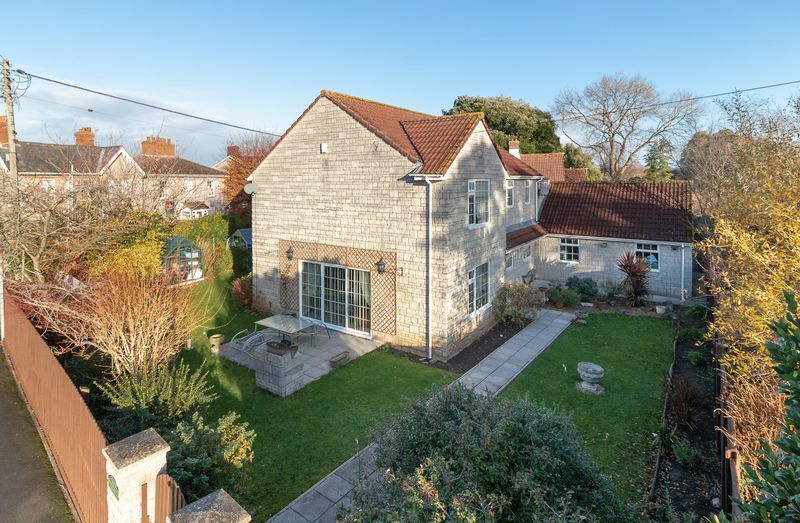 The house sits centrally within the plot, having gardens on three sides, as well as a driveway with parking up to the double garage. This has up and over doors, fully boarded attic space with power/light supplied. 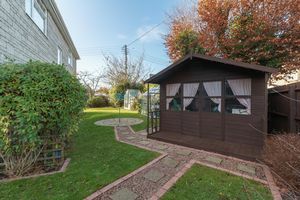 In the main, the gardens are laid to lawn, enjoying a great degree of privacy, being enclosed behind timber fencing and natural hedgerow. 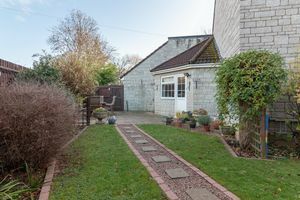 There are well stocked and mature shrub beds, with two patios extending from the lounge and the utility room, orientated to enjoy sunlight throughout the day. 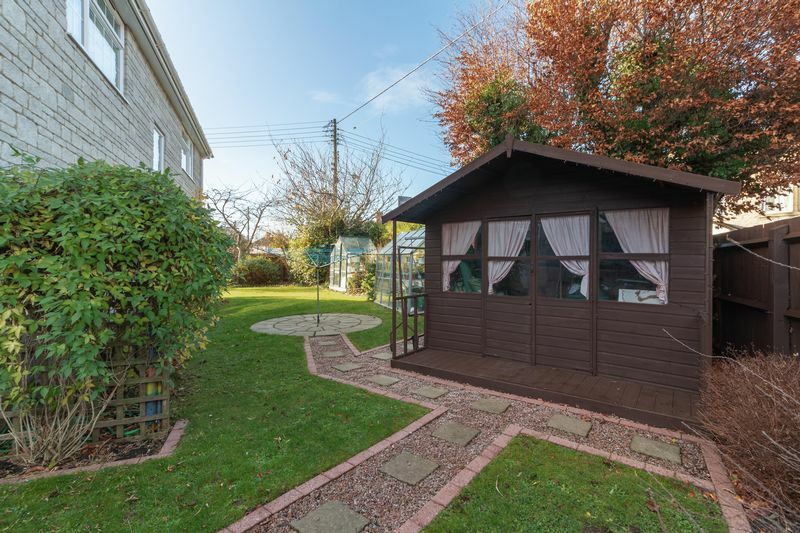 Additionally, there are two greenhouses and a summer house. The property is situated in Wraxhill Road, a most sought-after residential cul-de-sac within walking distance of the High Street with its excellent range of shopping outlets including Clarks Village. Street also offers a comprehensive range of sporting and recreational facilities including both indoor and open air swimming pools, football, tennis, cricket and Strode Theatre. 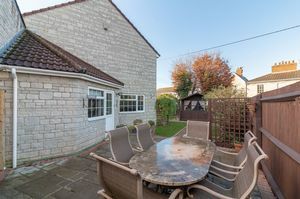 Millfield School is on the town outskirts whilst the Preparatory School at Edgarley, Glastonbury is some 3 miles. The Cathedral City of Wells is 8 miles whilst the nearest M5 motorway interchange at Dunball (Junction 23) is 12 miles. Bristol, Bath, Taunton and Yeovil are all within commuting distance. From the High Street turn into Leigh Road, Crispin Hall on the corner. 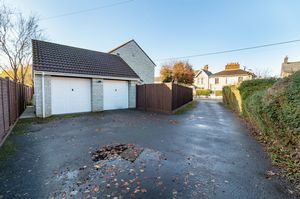 Continue, passing Hindhayes Infant School on the left and after negotiating a right-hand bend take the first turning on the left into Wraxhill Road where the property will be found on the left hand side.